Hello guyz, Today I'm gonna show you "How to find the IP address and Geographical Location of someone in just 1 minute", Easy and quick. This method is 100% working and accurate as tested by me so no useless comments! Step 2 : Enter your mail id and click get link. See the image for details. 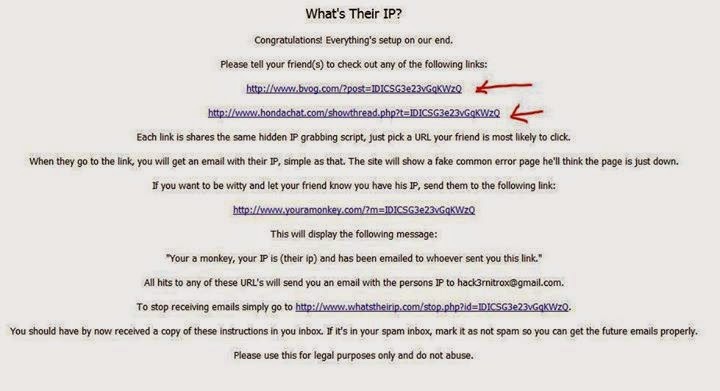 Step 3 : You'll see 2 links, Just copy either one of the link and send to your victim and make him open it, say "check out my new pic" or something like that (Don't open it by yourself). Step 4 : Check your Inbox in the mail provided in step2. 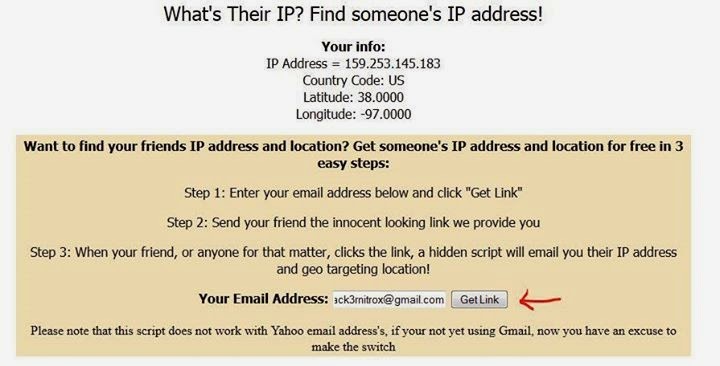 You'll see a mail with an IP address, You got his IP and Geo Location !! When your Victim or Friend opens that link he'll see an error page and he'll think it as a random error. Hope u guyz like this trick. Do comment if u have any problem in the above steps.